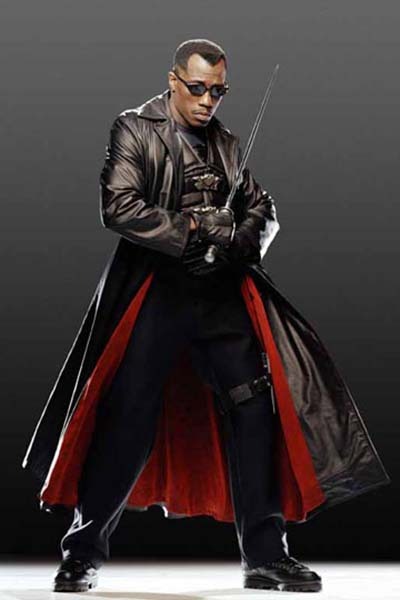 One of the best action actors of the 1990’s, Wesley Snipes has always been type-cast as “Blade” and, in our book will always be the best choice to play this part. Enjoy. 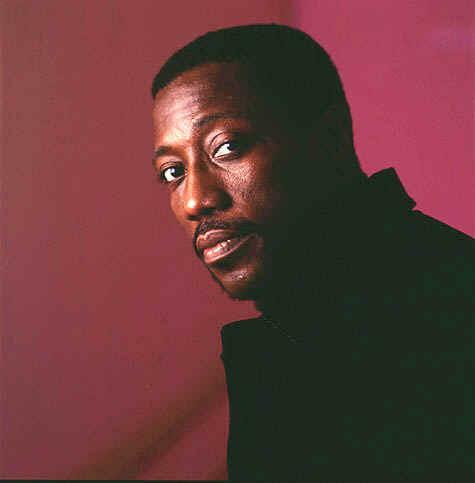 Wesley Snipes grew up on the streets of the South Bronx in New York City, where he very early decided that the theater was to be his career. 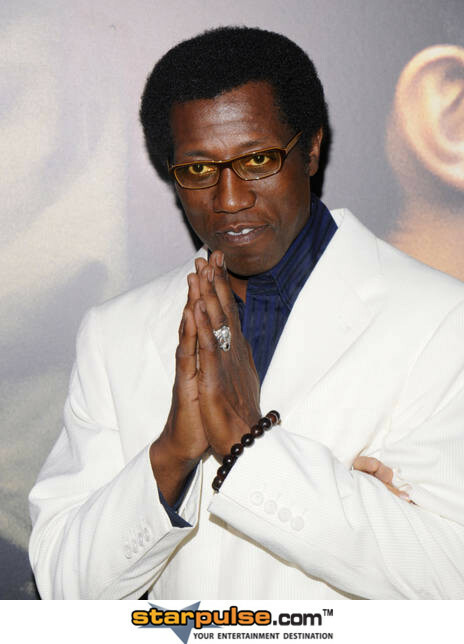 He attended the High School for the Performing Arts (popularized in Fame (1980)). But dreams of the musical theater (and maybe a few commercials) faded when his mother moved to Orlando, Florida before he could graduate from high school. But after graduation from a Florida high school he appeared in local dinner theaters and regional productions. An agent saw him in a competition and got him his first movie role with Goldie Hawn in Wildcats (1986). 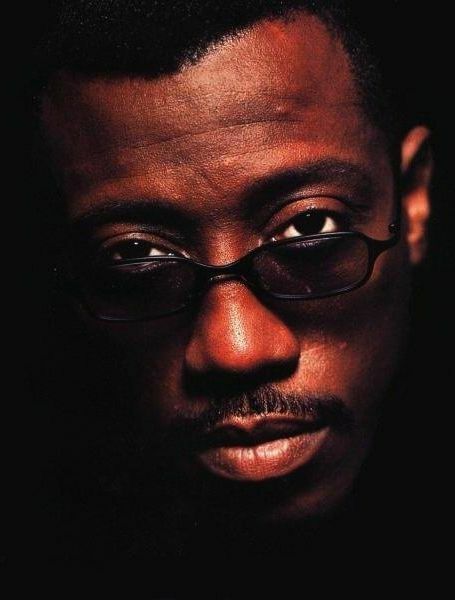 Athletic roles such as that gave way to tough guy roles as in New Jack City (1991), and to the action hero in Passenger 57 (1992). 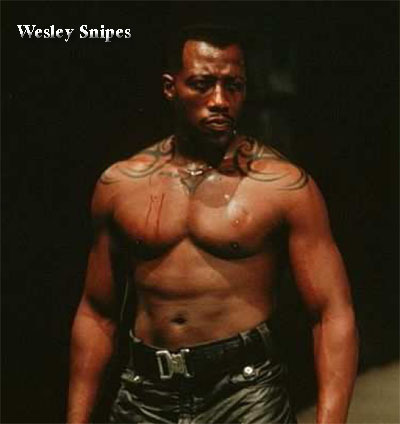 Wesley feels that at least with the Hollywood heavyweights he must be doing something right – Sylvester Stallone, Robert De Niro, Dennis Hopper and Sean Connery all had veto power over casting and all approved his role. Characters in his films, usually his own characters, frequently quote the literary classic “The Art of War,” written by Sun Tzu around 500 B.C.E., which is widely regarded as the single best resource for training military special forces groups worldwide. Listed as one of twelve “Promising New Actors of 1990” in John Willis’ Screen World, Vol. 42. Despite the fact that he does not often acknowledge it, he did attend the State University of New York at Purchase. He joins the other notable SUNY Purchase attendees who include: Parker Posey, Sherry Stringfield, Melissa Leo, Stanley Tucci, directors Hal Hartley & Nick Gomez, and producers Todd Baker and Bob Gosse. He left Purchase and transferred to a school in Florida, where he graduated with a BFA in 1985. He appeared in Michael Jackson’s Bad (1987) (V) music video. You can only see him in the full length, 16-minute, black & white/color music video. It is usually shortened down to just the color segment for television. He is a 5th degree black belt in Shotokan karate. He also studies a few forms of Kung Fu. Practices Capoeira, Brazilian martial arts. 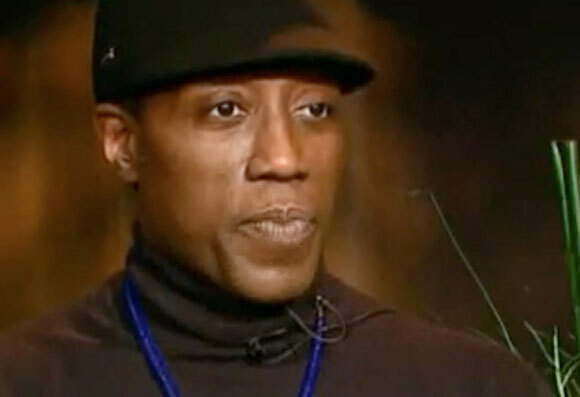 Publicly blasted John Singleton for not casting him in the title role of the updated version of Shaft (2000). 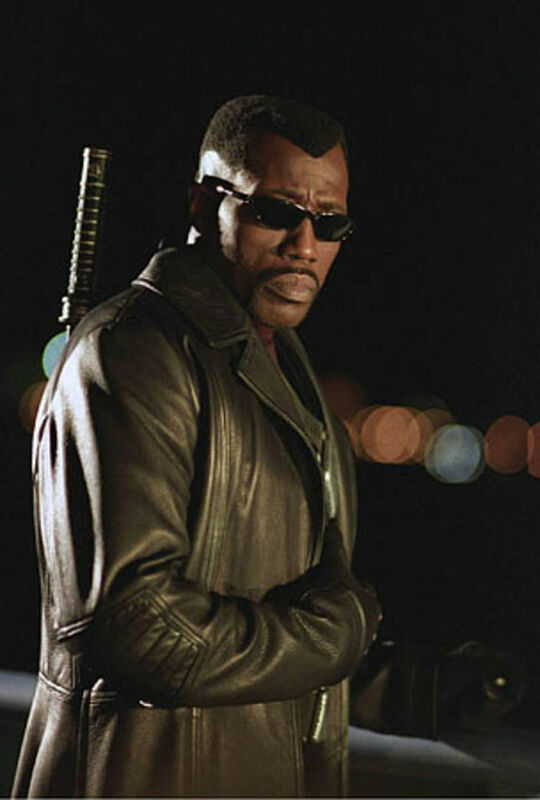 Snipes claims the film would have made twice its $60 million+ earnings had he been cast. 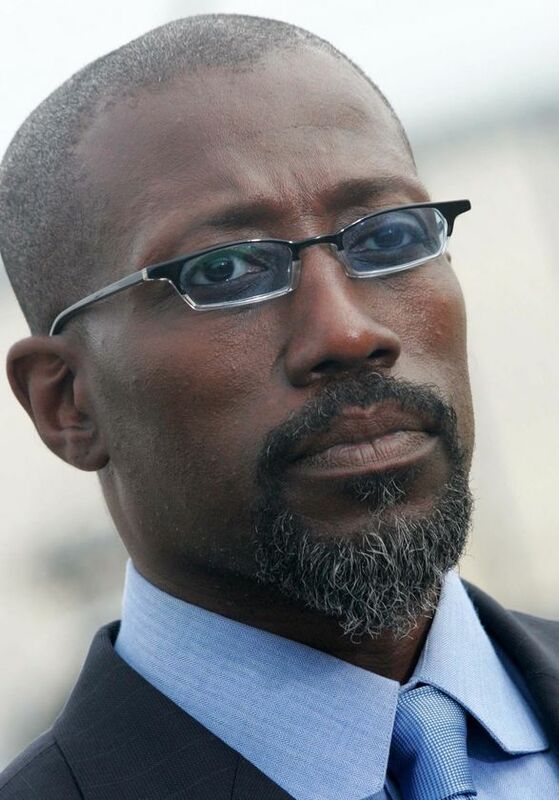 Insisted that the role of Mimi (played by Ming-Na), his character’s wife in the film One Night Stand (1997), be played by an Asian woman in order to “push the boundaries of racial-sexual taboos.” Snipes’s character, Max, is a sucessful Black commercial director who has an extramarital affair with an attractive blonde (‘Natassja Kinski’). Father of son Jelani Asar Snipes (born 1988) with first wife, April. Married Korean painter Nikki Park, who is the mother of his four youngest children, in March 2003. 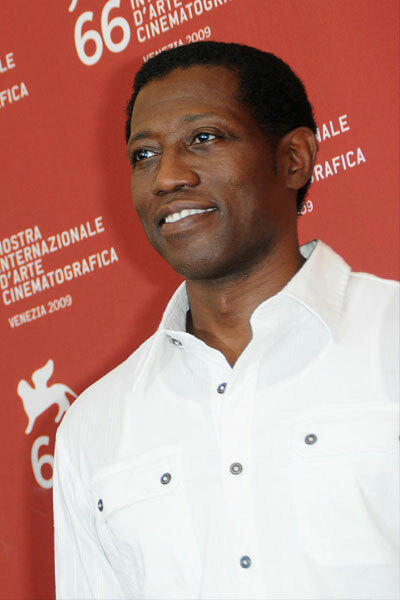 Snipes spends a lot of time in Park’s home country which he call his “second home.”. In his big action film, Passenger 57 (1992) you see him reading a book on the plane. The book is The Art of War which is the same title as a movie that he starred in years later, though unrelated to it. He has mastered numerous martial arts forms including the Brazilian street fighting form Capoeira. His apartment was destroyed by the collapse of the World Trade Center’s Twin Towers. He happened to have been delayed at the gym where he was working out, otherwise he would have been home at that moment. Is a fanatical music lover and collector and owns more than 1,000 LPs and 4,000 CDs. Father retired from United States Air Force Reserve’s 315AW Charleston Air Force Base April 1998 with the rank of MSGT. Ranked the tenth most popular movie star in America by the Annual Harris Poll (1999). 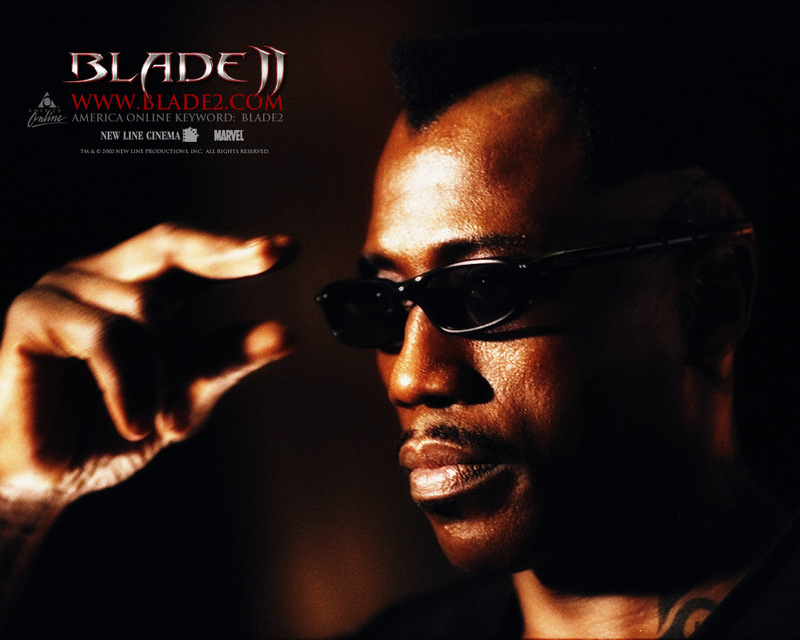 On April 18, 2005, Snipes filed a suit against New Line Cinema for more then $5 million, claiming that the studio failed to pay the balance of his fixed rate for Blade: Trinity, and that he wasn’t allowed to approve the director, per his contract stipulations. Introduction and training in the martial arts was first by fellow classmate and now fight co-coordinator/technical advisor Marcus Salgado. On October 17, 2006, he was indicted on eight counts of tax fraud. He was ultimately found guilty and sentenced on April 24, 2008, to three years imprisonment. It was determined that he had not filed federal income tax returns from 1999 to 2007 and owed the IRS approximately $20,000,000 in back taxes. On the day he was sentenced, he paid $5,000,000 to the IRS. Godfather of actress Cashala L’Shauntyelle. On August 21, 1998 he received a star on the Hollywood Walk of Fame. His star is located at 7018 Hollywood Blvd. Hollywood, California. Father of sons Alaafia Jehu-T Snipes, Akhenaten Kihwa-T Snipes, Alimayu Moa-T Snipes (born March 26, 2007) and daughter Iset Jua-T Snipes (born July 31, 2001) with wife Nakyung Park. Lives in Alpine, New Jersey. Was Sylvester Stallone’s original choice to play Hale Caesar in The Expendables (2010), but couldn’t accept because of his tax issues made him unable to leave the United States.